No matter what industry your company is in, the South Bend - Elkhart Region is ready to provide the people and other resources you need to achieve your goals. We offer a central location with one of the nation’s best transportation infrastructures, more than 400,000 skilled workers, abundant utilities and water, extensive educational assets, and business-friendly governments (exemplified by Indiana’s right-to-work status). The South Bend - Elkhart Region is Part of the Worlds Breadbasket. The pioneers who settled the South Bend - Elkhart Region ended their quests for new homes when they saw our area’s gently rolling fields and abundant sources of water and wood. It didn’t take long for us to earn a reputation for some of the nation’s most productive cropland and fruit farms — and food producers were close behind. As local farmers increased their yields, food processing companies applied new technologies to package and deliver what grew here. That heritage and commitment to innovation lives on in our strong presence in the global food, beverage, and agriculture industries. Not only have we remained a strong source for agricultural inputs such as fruits, vegetables, corn, soybeans, hogs, cattle, and poultry, but the South Bend-Elkhart Region’s abundant, affordable water, electricity, and natural gas — coupled with extensive transportation resources — have made us an ideal location for processors and packagers. Add in a highly skilled workforce with the right attitudes and supportive local and state governments (for example, Indiana is a right-to-work state), and the South Bend - Elkhart Region becomes even more attractive to these important business sectors. With access to rich resources and an abundant transportation network, the South Bend - Elkhart Region has long been a magnet for manufacturers – especially innovative manufacturers who led their industries in quality and productivity. That continues to be the case, whether you’re talking about auto components, recreational vehicles, machine parts, or precision components for a wide range of industries. 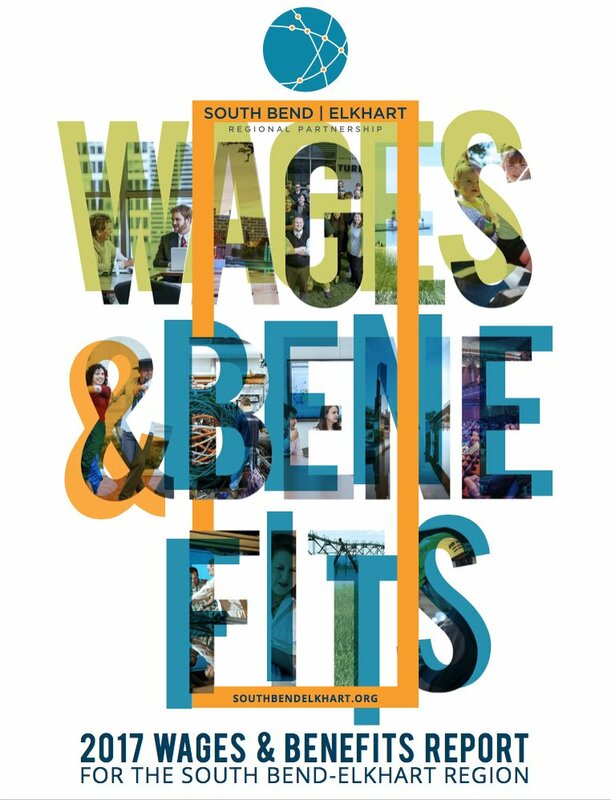 The South Bend - Elkhart Region is home to a highly-skilled workforce with a solid heritage of excellence, precision, and individual responsibility – ideal for companies with the highest standards of quality – along with extensive K-12 and post-secondary education and training resources. Beyond our workforce, we’re in the heart of the nation’s auto industry corridor, within a day’s drive of dozens of automotive plants, making us an ideal location for the companies that supply this important part of America’s economy. With extensive Interstate and rail connections (including mainlines for all three of the eastern Class 1 carriers), as well as abundant supplies of affordable electricity, the South Bend - Elkhart Region is ready to help today’s top manufacturers succeed! The South Bend - Elkhart Region has So Many Connections to the World. 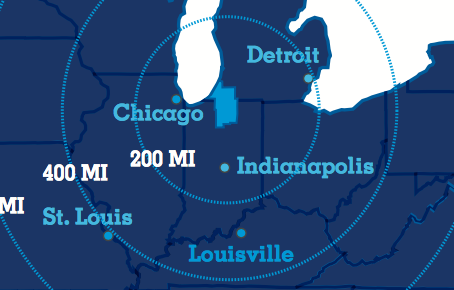 The South Bend - Elkhart Region’s central location is only part of what draws logistics companies to our area. What’s even more important to industry’s supply chain is our multimodal connectivity with the rest of the nation and the world. You’ll have a tough time finding a central U.S. location with more extensive road, rail, water, and air connections. Start with three of the nation’s most important arteries — Interstates 80, 90 and 94 — and their nearby connections to the nation’s Interstate network. Add in major U.S. highways such as U.S. 12, 20, 30, and 31, many of them with long stretches of limited-access, divided roads, and you have fast travel to Chicago, Indianapolis, Detroit, Toledo, Cleveland, and the rest of the nation. Is rail important to you? We have CSX, Norfolk Southern, and Canadian National mainlines, along with regional and short-line carriers to move your products quickly and affordably. Bulk raw materials and international goods travel through the convenient Port of Indiana at Burns Harbor, providing a route throughout the Great Lakes and to the Atlantic Ocean through the St. Lawrence Seaway. And if you need to get somewhere even faster, South Bend International Airport is ideal for air cargo operations. Given all this, plus a highly skilled workforce with the right attitudes and supportive local and state governments (Indiana is a right-to-work state), you’ll see why we’re already home to multiple large distribution centers. Tomorrow is Taking Shape Today in the South Bend - Elkhart Region. When many people think of the South Bend - Elkhart Region, heavy industry comes to mind, but our area actually has a longstanding heritage of innovation and new ideas. Today, you’ll find leading-edge companies in IT, nanotechnology, and the life sciences. Companies that are developing what will be familiar tomorrow can draw upon the South Bend - Elkhart Region’s deep resources, such as the University of Notre Dame’s Midwest Institute for Nanotechnology, Turbomachinery Research Facility, and Innovation Park. Life sciences companies benefit from the orthopedic and related development underway in the Warsaw, Indiana area, which is home to such innovators as Zimmer, OrthoPediatrics, and Biomet. With abundance, affordable, and reliable electricity, extensive networks of dark fiber, minimal seismic activity, and no shortage of clean water for cooling, the South Bend - Elkhart Region is also an outstanding location for data centers and similar facilities. And, whether your connections to the world are online or over the road, our infrastructure will get you where you need to be quickly!